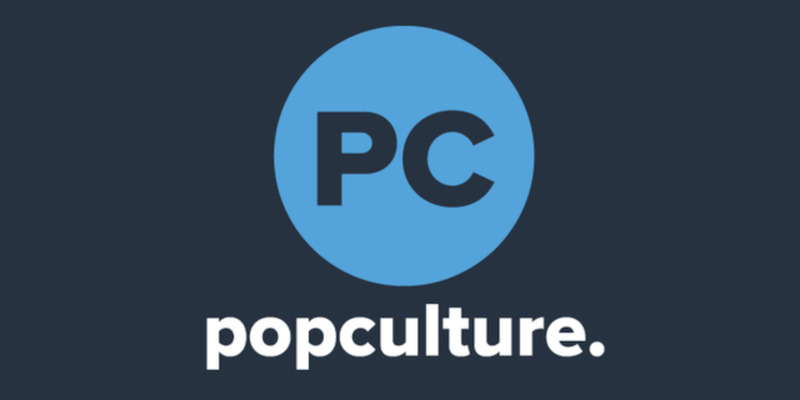 The eighth season of Alaskan Bush People was a major period of change for the Brown family. Not only did the Discovery reality show follow the family's major relocation from Alaska to Washington and subsequent rebuilding of their homestead, it also followed the recovery journey of Ami Brown, who was diagnosed prior to the season with aggressive lung cancer. It was a significant period of change for the Browns, and not without both personal highs and lows for the family, which was also tasked with weathering Mother Nature's storms. Keep scrolling to relive some of the most shocking, hilarious and touching moments of Alaskan Bush People season 8. 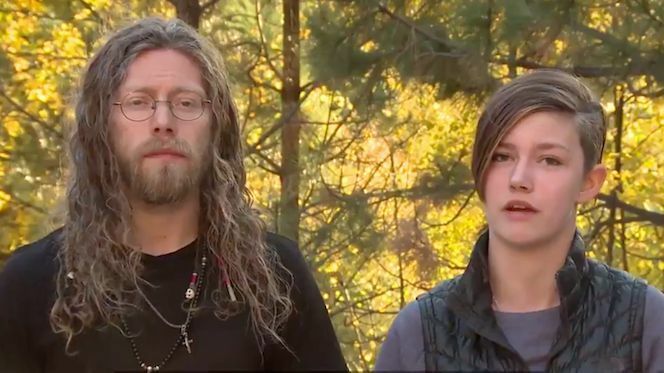 By far the most romantic moment of Alaskan Bush People season 8 was Noah Brown's intimate wedding ceremony to wife Rhain. "When I met Rhain Alisha, she was basically adventuring around Alaska," he explained in a September episode. "I could write a book with thousands of pages with reasons why she's perfect. We kind of decided to stick together for survival. She's one of the few people that understands me and understands how I think and how my brain works. She understands my soul." The excited groom continued, "I call her Angel, because that's what she is to me, my angel and light. If you look closely into her eyes, she has golden halos around her irises." The two were glowing as Rhain walked down the aisle in her fantasy-inspired gown and cape before they traded vows. "I could have relished the moment of Rhain Alisha walking down the aisle for eternity," Brown recalled later. "And I was just hoping it was me she was walking down that aisle to. And it was!" He continued, "She's my muse. I could have stayed in that moment forever as she was looking at me I love having a photographic memory, because I'm reliving it right now." After a grueling battle with cancer, matriarch Ami Brown returned to Los Angeles for further testing mid-season, leaving the rest of the Brown family worried about the state of her health. When Ami, husband Billy and son Bear Brown returned with the results in a September episode, there was luckily nothing but good news. "We finally got all the results in," Billy told the waiting family members. "It went good. Hadn't grown. Not even enough to biopsy." He explained of Ami's cancer, "It's still there for sure, but it's so small they can't even test it." The youngest member of the Brown family, 15-year-old Rain Brown was having a hard time getting her siblings to treat her like a valued member of their work family. So in a September episode of the series, she confronted big sister Snowbird about giving her more responsibilities. "My entire life, people, especially Birdy, have always treated me as this fragile thing that everybody has to take care of," Rain said. "And being the youngest, I've always been fighting just to be a person." "I do have to admit you have grown into a capable young woman," Snowbird told Rain, who was also given more responsibility on the homestead. "You remind me of me a lot, because there was a time where the brothers wouldn't let me do anything by myself. And now I'm doing stuff for everybody, so just recognize you are too." In one of the more humorous moments of the season, Billy was tasked with teaching 28-year-old son Gabe to drive in a September episode. The task was especially perilous in the Washington mountains. "I've driven boats and stuff before, you know, I'm good with a skiff," Gabe said of his late start on the road. "I'm thinking, 'I can handle this car, like it’s not that big of a deal.' But then I get in, and I don’t know what anything does." But Billy wasn't so sure, which was reaffirmed by Gabe's reckless and speedy first attempt. Though not addressed in the show itself, midway through season 8, Matt Brown checked himself into rehab for a second time. After the Brown family relocated to Washington following Ami's cancer treatment in Los Angeles, Billy was determined to build a new life outside of Alaska's Browntown — one on a ranch they would build. "You can't grow up in Texas with horses and not have it get under your skin. I had fought so hard, so long to try and pull something like that off, and got really close but didn't quite make it," Billy said of his ranch dream in an August episode. It was because of that background that the family dedicated themselves to a labor intensive barn project. "We fought hard in Alaska to have a self-sustaining lifestyle, renewable resources and things like that," Billy said. "Here, those things are right in front of us. Everything that you're relying on for food and work and everything else comes from this barn." The Browns' plans were nearly derailed by significant flooding that threatened to wash away their progress. In a September episode of the series, Matt and Bam Bam Brown leapt into action to protect their homes and those of their neighbors as they record-setting Washington snows began to melt. "Bush code is pretty much unwritten, but it's plain and simple that when your neighbors need your help, we stop everything," Matt said. "So when we see this flood and we see what's happening to our friends and neighbors and their families, there was no question." "Where we come from, we never pass anybody. We always stop to help," Bam added. "It's the idea that you know, you never know when you're the guy broken down on the side of the road." In the end, the brothers were able to help keep their own family and neighbors prevent significant damage. After the flooding drama was resolved, the Browns were faced with a problem on the opposite side of the natural disaster spectrum — wildfires. "Fire is normally something we try and get and now it's a threat. If fire does catch on the mountains we have a lot of land, it could even be a little bit before we know what happens," Snowbird explained of the situation facing the family in the September season finale. "Lightning strikes can and will strike fires, and even if it's not our land ... there's nothing to stop the fire from sweeping over into our land," Bam added. In the end, the family was able to escape the fires. But there's clearly more to come in season 9 of the series. We can't wait to see more from the Browns.